Open Beta To GM – What Has Changed? You’ve been talking (oh boy, have you been talking) and we’ve been listening! 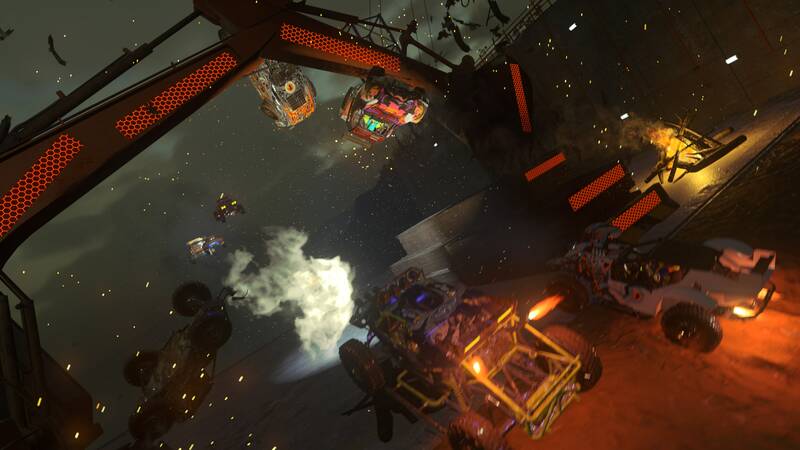 Ever since the ONRUSH open beta went live on Xbox One and PS4 we’ve been inundated with feedback on our forums, Reddit, Discord, Resetera and social media. You’ve been telling us what you liked, what you disliked, what you would change and what you would improve. We made it very clear from day one that ONRUSH is for YOU – the community. So we take all of your feedback very seriously, which is why we wanted to let you all know what we’ve changed from the open beta build, to the retail build on your console right now! One of the most prevalent bits of feedback was about the consistency of takedowns. In some instances you found that it was too easy to be taken down with the lightest of touches, and in some instances you felt like you’d smashed straight into someone without making a dent. We’ve done a lot of work to the edge-cases to improve this consistency, meaning takedowns are now a lot fairer! We’ve also balanced takedowns in relation to different vehicle classes, so there’s now more of a noticeable difference between each class. There’s now more detail, enhanced grading, enhanced lighting and final audio mixes in game. Volumetric lighting, which improves the lighting effects of things like headlights and the moon, has been added along with visual enhancements to objects and other moving elements to ensure environments also look more striking than ever. We’ve even enhanced the RUSH effect! That release of pure adrenaline is now even more impactful due to the fact that the RUSH effect now fills your entire screen! So you’ll DEFINITELY know when you’ve hit that button! 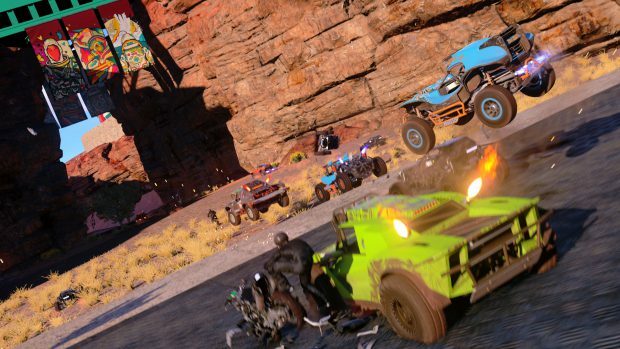 ONRUSH is all about the chaos. So it can often be hard to keep track of everything that’s going on. That’s why we worked hard to improve several key areas of the in-game UI. Firstly, we’ve made it easier for you to realise when you’re in danger of being taken down. When you’ve taken a severe knock the edges of the screen will turn dark red to let you know you’re at risk. This, along with the on-screen chevrons to point out the opposition, will allow you to be able to adapt to the situation quicker and, hopefully, allow you to survive a little longer! It’s also now clearer than ever to take stock of your performance from each game. We’ve increased the prominence of player scoring feedback, comparative scores between players are now more frequent to ramp up those brutal rivalries and team leaderboards, and points comparisons have been added for higher visibility. It goes without saying that we’ve been stomping on as many bugs as we can, and we’ve squashed a lot since the open beta! We’ve also significantly improved network performance for lower latency, we’ve improved connectivity and we’ve improved frame rate and performance on both PS4 and Xbox One. (60FPS is now default on PS4). So as you can see, we’ve been a busy bunch before, during and after the open beta! Of course the improvements don’t stop there. 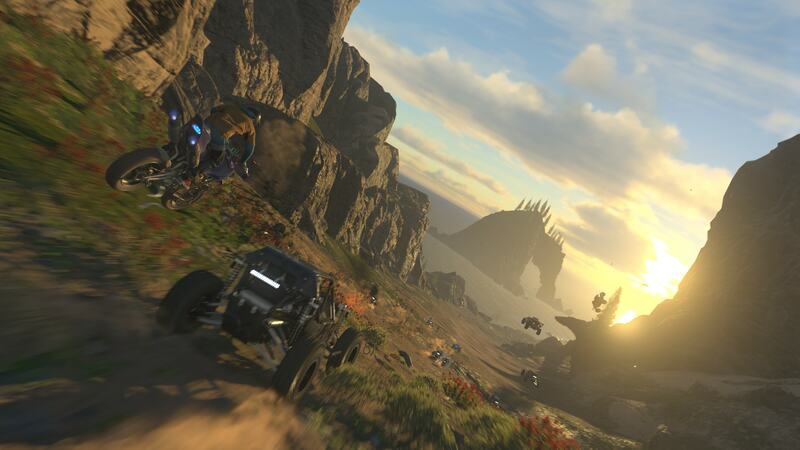 Going forward we want to continue working with you all to ensure ONRUSH never stays still! This is a game that will continue to evolve with the community, so if you have any feedback or suggestions, just let us know via the links below. More significant updates and additional content will be coming very soon, so watch this space! Anyway, I’m off to get my RUSH on. Meet y’all in The Stampede! Happy, hairy Geordie and Social Media Manager for ONRUSH!